Sodium is a mineral that’s essential for life. Sodium controls the amount of water in your body and maintains blood volume and blood pressure. Blood pressure is the force of blood pushing against blood vessel walls. Too much sodium, or salt, can increase blood pressure levels. When you have a high sodium diet, the extra sodium builds up in your bloodstream and attracts water, which causes the total volume of blood inside your blood vessels to increase. With more blood flowing, blood pressure increases and over time, the walls of the blood vessels become stronger and thicker, making the space inside the vessels narrower. The heart then has to work harder to pump blood through the body. High blood pressure, also called hypertension, increases the risk for heart attack and stroke, and is a leading cause of kidney failure. 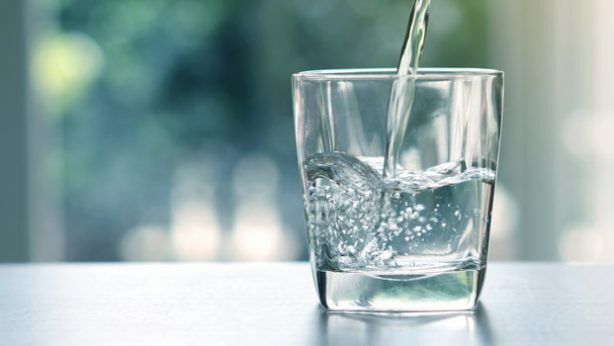 High blood pressure is also linked to osteoporosis, stomach cancer and even headaches, and the extra water leads to bloating and weight gain. 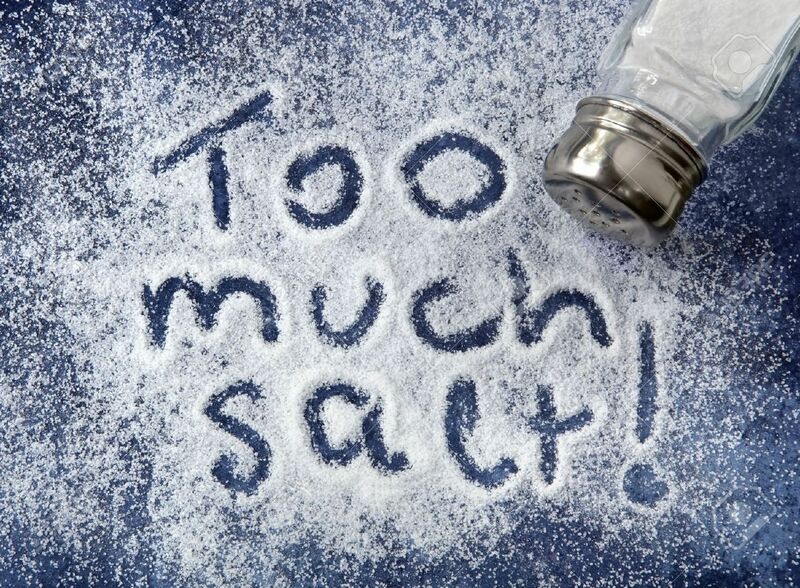 The amount of sodium you eat directly affects your blood pressure and the health of your heart. U.S. dietary guidelines recommend that the average adult consume a maximum of 2,300 mgs (milligrams) of sodium a day. That’s the amount in just one teaspoon of table salt. For children and for people who are middle-aged, elderly, or African-American, or who have high blood pressure, diabetes or kidney disease, the American Heart Association recommends 1,500 mg of sodium a day. However, most Americans consume much more sodium than they should. The average American consumes about 3,400 mgs of sodium per day! The most common form of sodium is table salt (sodium chloride – NaCl). However, only 10% of the sodium Americans consume comes from table salt. Most of the sodium we’re eating is added to our food before we buy it. Approximately 75% of sodium in the American diet is from processed, prepackaged and restaurant foods. Sodium is used to cure meats, mask off-flavors, retain moisture, and to enhance flavors. In addition to table salt, other sources of sodium in the American diet include MSG (monosodium glutamate), sodium citrate, sodium nitrate, sodium benzoate, baking powder, and baking soda (sodium bicarbonate). Processed foods such as lunch meats, sausage, bacon, and ham. If a food item keeps well in the fridge for days or weeks, that’s a indicator that the sodium content is high. Two ounces of deli sliced turkey can contain 620 milligrams of sodium – that is more that 25% of the 2,300 mg recommended amount. Pizza. Half of a ready-made pepperoni pizza might contain as much as 1,350 milligrams of sodium. Condiments (catsup, soy sauce, salad dressings). One tablespoon of soy sauce has about 1,000 mg of sodium. Snack foods (pretzels, popcorn, peanuts, chips, nuts). Food pickled or marinated in brine. Vinegar and lemon juice based marinades are okay. Prepare your food from scratch so you know exactly what’s in your food. When preparing food, replace salt with lemon juice, ginger, chilies, spices, and herbs. Be sure to read labels and select spices or seasonings that do not list sodium on their labels, i.e. choose garlic powder over garlic salt. Use fresh, rather than packaged, meats. Fresh cuts of beef, chicken or pork contain natural sodium, but the content is still much less than the extra sodium added to products like bacon or ham. Fresh fruit and vegetables are very low in sodium. If you’re cooking veggies, don’t add salt. When buying frozen vegetables, choose those that are labeled “fresh frozen” and those that do not contain added seasoning or sauces. Read nutrition labels – the sodium content is always listed on the label. The amount of sodium in some of your favorite prepackaged foods can be surprising. Even bread and cereal contain sodium. When dining out, do your research. A restaurant’s website often lists the sodium content of dishes. Alternatively, when you’re at the restaurant and ready to order, you can request that the dish be served without salt. Fresh steamed veggies and roasted entrees are often the smartest choices. Increase your potassium: Potassium also affects the balance of fluids in the body and the more potassium we eat, the more sodium we pass out of the body through urine. Potassium also helps relax blood vessel walls, which helps lower blood pressure. Some of the best sources are bananas, potatoes, dried fruit, avocados, kidney beans and tomatoes. However, before taking potassium supplements, check with your doctor, as an overdose from potassium supplements is dangerous. High blood pressure is a known risk factor for heart disease, stroke and other health problems. By reducing your sodium intake you can lower your blood pressure and reduce the risk of cardiovascular disease and stroke.